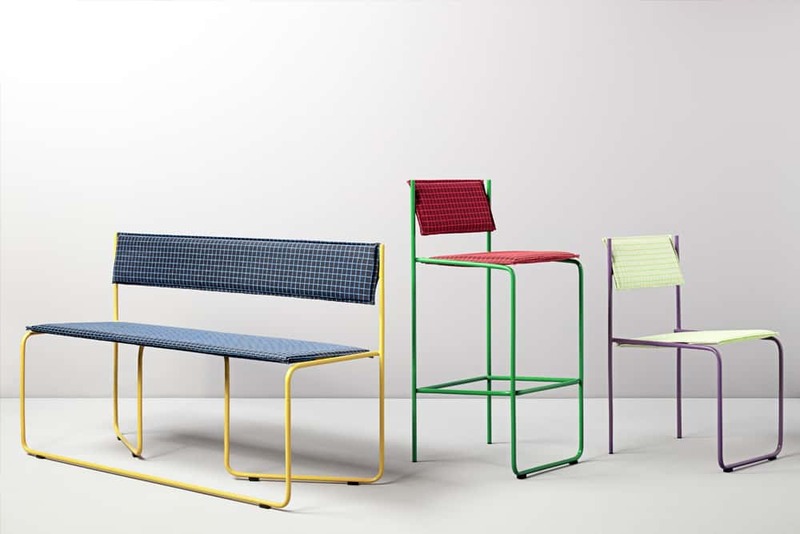 The Trampolín is a stacking Side Chair. 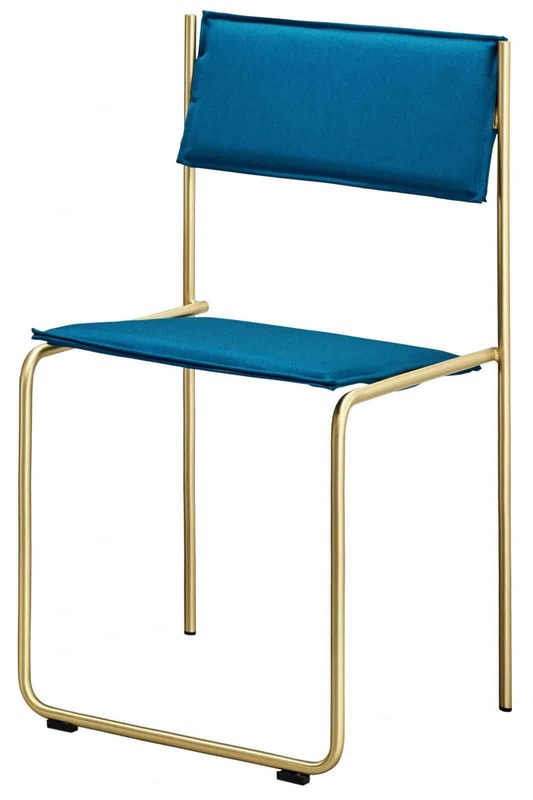 An Iron frame that can be Chrome plated or painted in various colours. 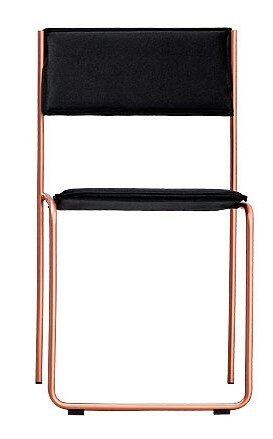 Copper, Gold and Chromed frame at extra cost. 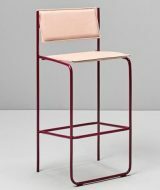 Also available as High Stool and a Bench.